Swiss-made one touch coffee machine suitable for medium use environments, including offices, hotels, restaurants and education. The Jura Giga X9 can quickly prepare a wide range of speciality hot beverages at the touch of a button, utilising the power of 3 thermo blocks and 3 pumps. 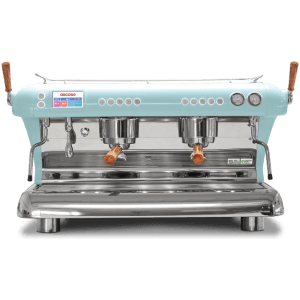 This machine is easy to operate and programme and features self-cleaning technology for a perfect, low maintenance machine. 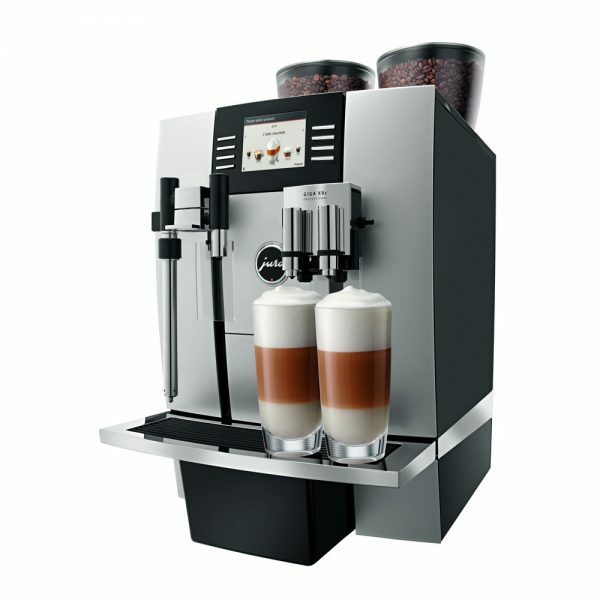 The simple operating concept and the wide range of specialities, from ristretto to latte macchiato at the touch of a button, make the powerful GIGA X9 Professional the perfect coffee solution for delicious speciality coffees for customers, guests or employees. 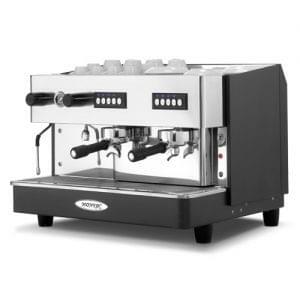 The GIGA X9 features Jura’s newest and most efficient technology, with the capability of making 19 different coffee drinks along with many more exciting new features, it is an adaptive machine suitable for many environments. 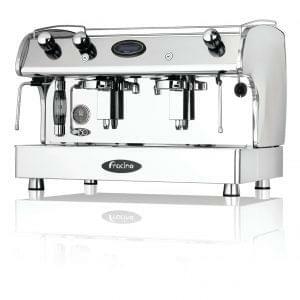 Three heating thermo blocks and three pumps provide all specialities at the touch of a button. In professional catering, quality delivery and speed of service are of paramount importance so multiple heating systems capable of delivering up to 30 litres of hot water an hour. 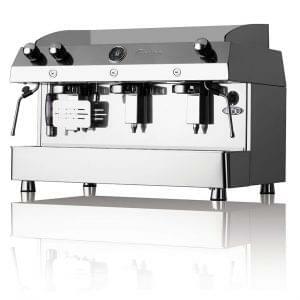 This amazing machine can prepare 2 Cappuccino or milk based drinks at a time.